HONOR MURPH. SUPPORT LONE SURVIVOR FOUNDATION. 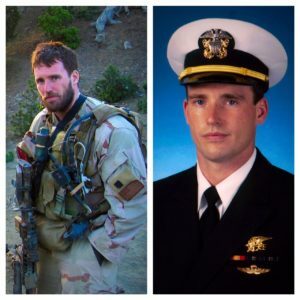 Honor the memory of Lt. Michael P. Murphy (SEAL) by signing up for the Michael P. Murphy Virtual Run! Each year, the Ronkonkoma Rotary in New York organizes a run around Lake Ronkonkoma where Murph used to swim as a lifeguard. Thousands of runners participate both in person and virtually. The race benefits Lone Survivor Foundation as well as the Lt. Michael P. Murphy Memorial Scholarship Foundation, the Navy SEAL Foundation, Special Operations Warrior Foundation, and Rotary International. All of us here at LSF are honored to be chosen as a beneficiary and we greatly appreciate the continued support! All Virtual Runners will receive a packet in the mail with a race bib, t-shirt, and challenge coin. (Register by June 1st to guarantee a shirt and personalized bib. Items will be mailed after June 14th.) Race day is on June 22, but you are welcome to walk, run, or roll anytime and anywhere! To register, please click here. Please enter Coupon Code LSF2019 in order for a portion of your registration to be donated to Lone Survivor Foundation! For more information, please visit the race organizer’s page at www.runaroundthelake.com. Founded in 2010 by retired Navy SEAL and New York Times best-selling author Marcus Luttrell, Lone Survivor Foundation provides veterans, active duty service members, and their families an accelerated growth program guided by licensed trauma experts during a series of no-cost therapeutic retreats that are designed to provide the tools and guidance to take them from surviving to thriving.